November 4th in Wordpress Plugins by Wordpress Jedi . Monarch: a versatile plugin that adds social follow and share buttons to your website. It gives you control over style, position, and other settings. 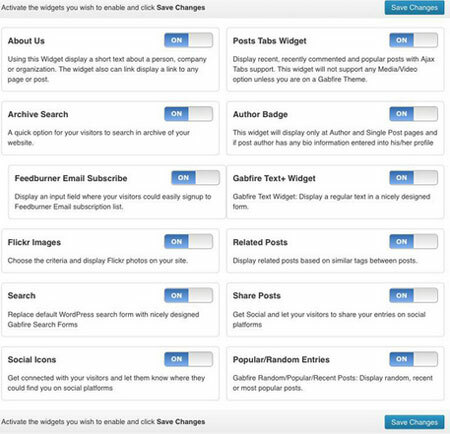 Gabfire Widget Pack: adds a bunch of useful widgets to your website, including recent tweets, search, social icons, image sliders, and related posts. Theme Junkie Custom CSS: adds a custom CSS manager to your site, allowing you to override theme or plugin styles more conveniently. JetPack Extra Widgets: enables additional widgets for JetPack-powered sites, allowing you to display top posts in your sidebar. WP Widget Cache: caches the output of your blog widgets, reducing the SQL queries to your database and speeding up your site in the process. Advanced Random Posts Widget: displays random posts in your sidebar. You can choose to display thumbnails and customize the widget in various ways. 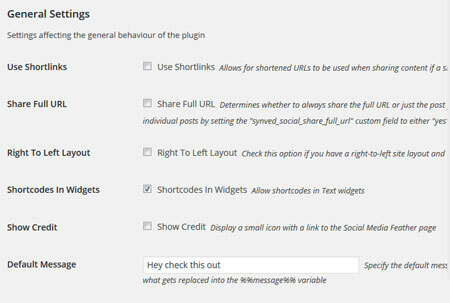 Social Media Feather: a lightweight, good looking plugin that adds social share & follow buttons to your website. It has a fully customizable design. What are your favorite WordPress plugins for new sites? Please share them here.